When Babli first came to Project WHY in 2004, she was a bright-eyed, feisty girl; what some Indians would call Bindaas, meaning carefree and confident. She loved books and seemed to always have a smile. It took Project WHY’s resource persons some time to realize that every breath she drew was an effort. Babli had a hole in her heart from birth and needed corrective surgery. Her family was unable to come up with the required funds. They had simply accepted that she would not live long. In India, little girls are sometimes considered dispensable, their hearts not worth mending. The Census of India 2011 demonstrates a decrease in the population ratio of female children (age group 0-6 years) of India compared to 2001. For every 1000 male children, there were now 914 female children, a drop from 945 – so where are our girls? Investigations show that female infants experienced a significantly higher mortality rate than male infants in all major states. Thanks to our wonderful friends, Project WHY was able to raise the funds for Babli by 2005 and the operation was performed successfully. It was scary and painful for this innocent little girl, but Babli’s bindaas spirit saw her through it all. After her recovery, Babli was expected back in school but, to everyone’s shock, it emerged that she would not be able to continue her education. Her mother, being the sole earning member of the family, didn’t have time to take Babli to school. She also needed her to take care of her younger sister. The father was busy playing cards, and it eventually fell to Babli to manage the father’s work cart that sold tobacco and biscuits. One step forward and two steps back. The Project WHY resource persons soon found Babli sitting on the cart selling chewing tobacco, cigarettes and biscuits instead of being in school, and her little sister standing in the background. She told them about how her name had been struck off from the rolls of the school and why she was working. But Babli’s words, spoken when she had trouble breathing, still resonated: “I want to be a police,” she had said, without hesitation, when asked about her dreams. 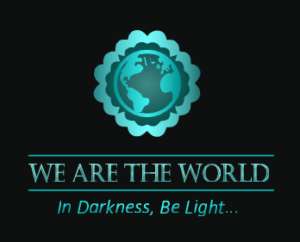 Project WHY found the situation unacceptable, and took steps to change it. 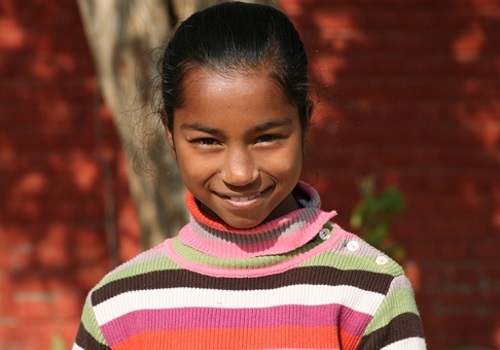 After a meeting with her parents and a visit to the nearby government school, Babli was back in school. Today, thanks to a kind sponsor, Babli studies in Class 9 at English Medium Boarding School in New Delhi, where she often tops her class. True, she won’t become a ‘police’ as the aftermath of her surgery resulted in scoliosis, but she will shine. Her education, which had fallen into peril this year because of a major donor backing out, will continue thanks to another kindhearted donor who has stepped in to fill the gap. 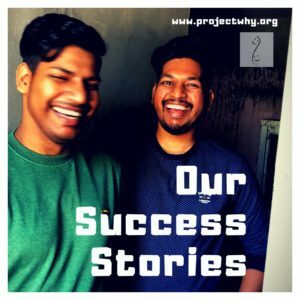 This is Project WHY’s attempt to prove that given equal opportunities, children from the slum can do as well as those from the privileged classes.